This four-acre field has several names: Rivermead is what the owners call it. 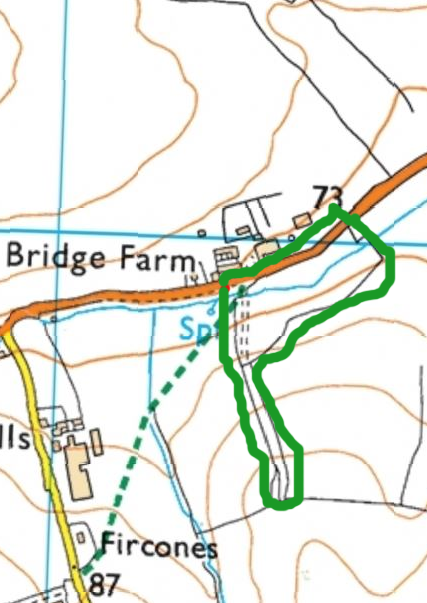 It is often known as Bulls Bridge Meadow from the name of the farm opposite (it was once part of that farm's land). We have chosen King's Field as this is the name it was known by in the Victorian Tithe Map. At that time it was pasture but had a spell as arable land in the 20th century before reverting to grassland (now pasture) about 14 years ago. Thanks to the generosity of Robert and Suzanne Walker we have been given the use of their four acre meadow on the borders of Hempstead and Steeple Bumpstead. King's Field north is a grassy meadow with many cricket bat wollow trees. Both we and the Walkers want to increase the variety of wild flowers in the grassland and we are confident that traditional grazing (and hay-making) will help do this. 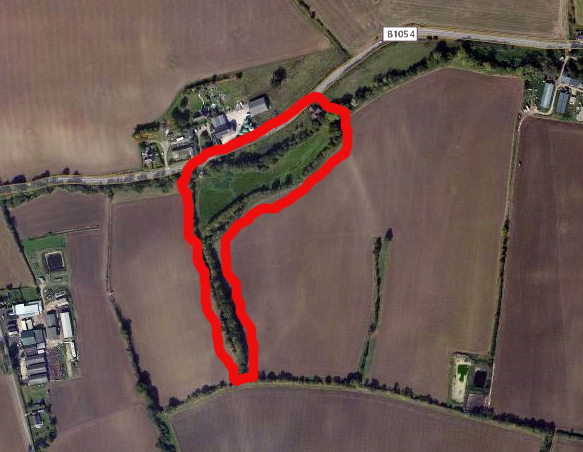 There is no public access at present (except for the corner by the gate where a public footpath starts). Walden Countryside members and friends may only visit in connection with tending the sheep or as part of a work-party.